In Merck Sharp & Dohme Corp. v. Albrecht, the Supreme Court has been asked to clarify the nature of the evidence defendants must produce to demonstrate that state law tort claims are preempted by federal law and whether such questions may be submitted to a jury. 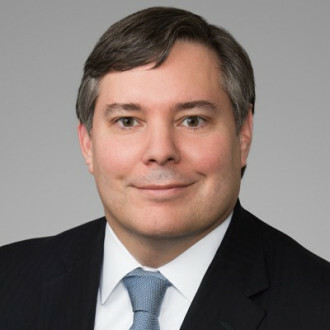 The Third Circuit rejected defendants’ contention that preemption was a purely legal issue for the court to decide and suggested that defendants must demonstrate that there is a “high probability” that the FDA would have rejected stronger labeling for a pharmaceutical product in order to invoke preemption. Doug Smith will attend the oral argument and then join us to discuss his thoughts on the proceedings. Operator: Welcome to The Federalist Society's Practice Group Podcast. The following podcast, hosted by The Federalist Society's Litigation Practice Group, was recorded on Monday, January 7, 2019 during a live teleforum conference call held exclusively for Federalist Society members. Wesley Hodges: Welcome to The Federalist Society's teleforum conference call. This afternoon's topic is a Courthouse Steps Oral Argument Discussion on Merck Sharp & Dohme Corp. v. Albrecht. My name is Wesley Hodges, and I'm the Associate Director of Practice Groups at The Federalist Society. Today we are very fortunate to have with us Mr. Douglas G. Smith, who is a Partner at Kirkland & Ellis LLP. After our speaker gives his remarks today, we will move to an audience Q&A, so please keep in mind what questions you have for this case, for this oral argument, or for our speaker. Thank you very much for speaking with us today, Doug. The floor is yours. Douglas G. Smith: Okay, thanks a lot and good afternoon to everyone. So the most notable thing about the argument this afternoon might have been that Justice Ginsburg was not present. She's working at home and recuperating, so she didn't participate in the oral argument, but she'll participate in the decision. And I'll talk about the argument a little bit later. It was a very fact-based argument, based on the record that was before the Court from the FDA, and I'll get to that in a minute. But first, I wanted to provide a little bit of background about how the case worked its way up to the Supreme Court. This was a case where there are hundreds of product liability actions that were filed against Merck, alleging that its prescription medication, Fosamax, which was used to treat osteoporosis had an adverse effect of causing bone fractures, atypical bone fractures, that the plaintiffs alleged was not warned of in the labeling. And the cases had been centralized in an MDL proceeding. And as part of that proceeding, in one of the bellwether cases the court had granted summary judgment on the ground that the claims were preempted because the record showed that the FDA had actually rejected the manufacturer's proposed labelling, which would've added a warning regarding bone fractures. That decision the court, then, held it would apply to the other cases within the MDL proceeding. But it was taken up on appeal to the Third Circuit, and the Third Circuit reversed the district court's decision. Part of the basis for the Third Circuit's opinion, if you parse through it, is the court articulated a very high standard for obtaining preemption, relying on language from the prior Supreme Court decision in Wyeth v. Levine. The court made clear that the defendant had to show by clear and convincing evidence that preemption applied. And the court interpreted this as showing that there was a high probability that the claims were preempted. The plaintiffs argued that the FDA had rejected the labeling offered by the manufacturer because there were inaccuracies in it; that the labeling as proposed had contained proposed warnings about stress fractures, but it didn't contain any language about atypical fractures, which the plaintiffs said were what was really at issue in the case. The plaintiffs had argued that the FDA would not have rejected appropriately worded labeling, but it had only rejected the labeling because it was filled with these what it described as inaccuracies. The court concluded, therefore, that summary judgment was inappropriate and further made clear that this was an issue that should go to the jury. The jury should decide the preemption defense. They rejected the defendant's argument that this was a legal issue that should be for the judges to decide. The Court ended up granting certiorari, and the way the issue was phrased on appeal was whether preemption applied where scientific data was submitted to the FDA that essentially disclosed the risk. And, as part of that question, it also implicitly took up the issue of whether the case should be submitted to the jury if summary judgment was not appropriate on the issue of preemption. The Solicitor General's Office weighed in as an amicus in support of the manufacturer, agreeing with the legal positions that they took, but also making the further point that the FDA had, in fact, rejected the very warning that plaintiffs said should be added to the labeling regarding atypical fractures. And this, obviously, provided a boost to the manufacturer on appeal. To the extent there was any kind of disagreement about what the FDA understood, the government stepped in and essentially tried to quash those factual disputes. This is an issue that's important, not only for this case which involves hundreds of claims, but in many other mass tort pharmaceutical cases. The issue has been litigated frequently, and because of this language that was in the Wyeth decision, in many cases brand-name manufacturers have been unsuccessful in attempting to assert the preemption defense. So there was a possibility with this decision that there would be clarification, number one, of the standard for obtaining preemption, and number two, on this issue of whether it was an issue that needed to go to a jury or not. The argument, though, I'm not sure provided that much guidance, or that the decision will. The argument was very much constrained to the factual issues regarding the FDA record. In fact, the argument focused almost entirely on the record facts regarding what language Merck had actually proposed to the FDA in terms of labeling and what the FDA has said in response. The standard regarding clear and convincing evidence wasn't really discussed during oral argument. And the questions by the Justices were very much focused on the language of the proposed label that was submitted to the FDA, and then the FDA's letter in response rejecting that proposal. Two of the Justices, Justices Kagan and Sotomayor, were very focused on the proposed language that Merck had offered in the labeling, which focused on stress fractures and repeatedly referred to stress fractures. They interpreted that, as the plaintiffs did, as not including atypical fractures. And Justice Kagan had put up a hypothetical that she offered as being somewhat similar – the difference between ovarian cysts and ovarian cancer. Just because you warn about ovarian cysts does not mean there is any kind of warning about ovarian cancer. It's a separate and distinct risk. Also, these Justices suggested that it wasn't good enough that the manufacturer had submitted data, studies, or other information in its admission that may have mentioned atypical fractures or an increased risk of atypical fractures. They took the position that you couldn't expect the FDA to plow through all the materials that were submitted. And they were very focused on the four corners of the proposed labeling that was sent to the FDA and then the FDA's response addressing that labeling, suggesting that if the FDA didn't have some express reasoning in its letter, that there would be no basis for preemption unless there was some express rejection of what the manufacturer was suggesting. So they interpreted the record before them as the FDA not rejecting warnings about atypical fractures. All they had rejected was a warning about stress fractures, which they interpreted as being different. Justice Gorsuch did chime in and indicated that he thought that part of what their concern was that there was a moral hazard with manufacturers who might not provide proposed warnings that are clear. Instead, the manufacturer may bury things in the other materials, submit it with the submission, and not provide clear language in the warnings. And he invited the defendants to kind of allay those concerns. And that's what he interpreted Kagan and Sotomayor to be getting at. The defendants and the Solicitor General, however, noted, going back to the record again, that the manufacturers in their submission had explained that stress fractures were, in fact -- included complete fractures, kind of the type of fractures that were really at issue in the litigation; that the stress fractures could be kind of minimal types of fractures that didn't involve a complete break in the bone, but they could develop into something that became a complete break. And that was disclosed in the FDA submission. They also made the point that the FDA had said, through the Solicitor General, that it understood what the manufacturer was talking about, and that that had included these complete atypical fractures that were at issue in the lit. And, finally, they pointed out that the FDA had later said in a 2010 statement that came after this rejection letter in a press release that they thought that the causal evidence had not been established showing a relationship with atypical fractures, further demonstrating that they, in fact, had rejected any kind of warning regarding atypical fractures. Kagan and Sotomayor, however, were not willing to take the SG's word for it, and they seemed to suggest that the FDA really needed to have something expressly in the record in order for preemption to apply. The SG had noted, however that there's a problem with overwarning just as with underwarning and imposing such a requirement would shift the burden too much so that manufacturers felt that they had to put in all kinds of warnings that may discourse individuals from taking a drug unnecessarily, or needlessly. Justice Alito also expressed skepticism, and he noted the preemption was not based on just a single little, or something like that, from the FDA. Really the issue was what the FDA would've done. You're trying to figure out what the FDA would've done and all of the information in the record would've been relative to that question. Justice Breyer, also, seemed to be somewhat skeptical of the plaintiffs' arguments. And he came from a more pragmatic place. The first thing he noted was he did indicate that he believed, just based on the record, that atypical fractures were a subset of stress fractures. He kind of pushed the plaintiffs on that point. But his bigger point was he noted that he had a concern about allowing court jurors to decide issues like this and subjecting these kind of decisions to 50 different state-law rules, and that that might lead to this problem of hurting people who actually were taking the drug who might feel that because of all these risks that were being disclosed, that the risks were actually outweighing the benefits. So he seemed to have a concern just as a matter of policy, that overwarning would discourage people, and that you really needed a uniform rule in the context of drug warnings, which supported preemption. And he also seemed to disparage having jurors decide these kind of questions rather than the experts at the FDA. Justice Roberts also, halfway into the argument, began to chime in, echoing a lot of the same points that the other Justices had made. He followed up on the point again that these atypical fractures do appear to be a type of stress fracture. And he also made the point that the FDA -- what was really at issue was what the FDA understood, whether they were right or not, and that it was clear from what the Solicitor General had said that the FDA had understood that stress fractures did include these sort of atypical fractures that were included in the litigation. The plaintiffs then kind of started to backpedal and offered a couple additional arguments. One was that it was inherently problematic that what they described as a low-level civil servant at the FDA could, in effect, bar the state-law claims in 50 different states, kind of appealing to the idea that these decisions really were not made by people with decision-making authority at the FDA. But Justice Roberts kind of shut that down when he noted that, again, the SG had said that the FDA understood exactly what the proposed warning language had meant. The other thing that Justice Kagan attempted to suggest to try to resurrect the plaintiffs was that the FDA was only saying that more study was needed and hadn't really made a determination, and that because of this, there was essentially an open question where the manufacturer could have warned, if it wanted. The FDA wasn't saying, "Don't warn." It was saying that, "We're just going to study this some more." Justice Sotomayor also latched onto that argument and invited the plaintiffs to say, "Well, what could the manufacturer have done?" And at this point, one other thing that the plaintiffs started throwing out was an argument that Merck really didn't disclose all of the scientific evidence to the FDA, that there were only 5 of 170 studies that were submitted to the FDA, so the FDA really didn't have full information. But that didn't really go anywhere, and presumably, an argument like that would be subject to preemption as well since the FDA is in charge of enforcing its own disclosure rules. But that didn't really come up at any length in the argument, and that was kind of just tacked on at the end when it seemed like the plaintiff's arguments were going downhill. Now, the wrinkle, I guess, in all of this is Justice Thomas did not say anything during the argument, although the plaintiffs certainly did attempt to appeal to Justice Thomas. In the Wyeth v. Levine decision, he had concurred in the judgment in that case and issued a concurring opinion that went on at some length expressing concern about interpreting preemption doctrines too broadly, and that this interfered with state sovereignty. And so the plaintiffs did try to refer to Justice Thomas's concurrence in Wyeth and advance that, but he didn't follow up with anything on that. Justice Kavanaugh also did not say anything during the oral argument. So at the end of the argument there were, I would say, three or four Justices who seemed to be siding with the defendants – Gorsuch, Roberts, Alito, and probably Justice Breyer. Justice Kagan and Sotomayor seemed to be more siding with the plaintiffs. Again, all of this based on the record before the FDA, not on any particular interpretation of the law. Justice Ginsburg wasn't there and Justice Thomas and Kavanaugh were silent. If one were to kind of, I guess, speculate about the outcome, it seems like the majority could be cobbled together in favor of the manufacturers, at least for a relatively narrow decision that did not get into any of the broader questions about what precisely should be the standard and how do you articulate it for preemption. With respect to the subsidiary issue about whether there was a jury question, which the Justices won't need to read if they end up deciding that summary judgment should've been granted on preemption, there really wasn't much discussion at oral argument. The defendants had pointed out -- rather the plaintiffs had pointed out that this was a factual issue just like anything else. And as you could tell from the oral argument, there were a lot of facts at issue – basically going through the FDA record, pointing to letters and emails and things like that. There were also amicus briefs filed by physicians and individuals like that who offered opinions regarding whether stress fractures included atypical fractures. And the whole argument sounded very fact based. The plaintiffs also point out with respect to the government contractor defense that that was something that could be submitted to the jury and was also based on preemption. This was all in the briefing. The plaintiffs did not really get into this issue at oral argument. The defense in their briefing pointed to decisions like Markman involving claim construction in patent cases and argued that there are some issues that are predominantly legal that should be decided by judges and that that was the case here with respect to the preemption issue. Really, the only person that really took up this issue very much was Justice Breyer, who did seem to raise the concern about having juries get into this at all. He did mention the Markman decision and some other context in which primarily legal issues were left to the judge, even if there were some measure of fact-finding involved in deciding then. And Justice Breyer framed the issue as, "Who would decide the question better?" And you could kind of read into his comments that 0he probably thinks that judges can decide the question better than juries. Justice Alito also seemed to express some skepticism about having questions like this go to the jury, and no one really spoke up in favor of having preemption decisions routinely decided by juries. Justice Kagan, at one point, seemed to say that at least judges in some circumstances could decide the question on summary judgment, but that doesn't really tell you whether that's always to be case. So at bottom, that second issue did not really get much play, and it seemed like -- I guess you could speculate it may be that number one, the Justices don’t think they need to reach it because they're just going to affirm summary judgment in the district court. Or that they have views on it, and they were pretty consistent. And there really much debate about that or discussion during the oral argument, so it's kind of a mystery whether they'll reach that kind of subsidiary issue and what their thoughts are. At this point, I think we can turn it over to questions if anybody has any. Wesley Hodges: Excellent. Well, thank you so much, Doug, for that very thorough analysis and explanation of the oral argument today. Seeing no immediate questions, Doug, I'm turning to you with the classic question for these types of calls. What do you see in the crystal ball for this case? Douglas G. Smith: Well, if I had to guess, I would predict some kind of narrow ruling, basically reversing the Third Circuit. I mean, it was pretty clear that Gorsuch, Roberts, and Alito were in favor of the defendants. Breyer certainly had a concern regarding this issue in general, having juries decide this. And with respect to the specifics of this case, it was pretty clear that he thought the FDA had rejected the proposed warning. So then that leaves Kavanaugh and Thomas, and if you had to guess, I guess you would guess that Kavanaugh would join them. Justice Thomas, he might be a little bit more of an uncertainty in that in Wyeth v. Levine, he did write this concurrence in the judgment, which had raised issues with broadly interpreting preemption doctrines. Although, what he was focused on was very specific. He had a concern about reading into the purposes of the legislature to have a preemptive effect. And here, it's not so clear that any of that would really be at issue. So I suppose if you were prognosticating, you would have to suppose that you would get a decision in favor of the manufacturers, but then somewhat unclear how much they're really going to get into the legal standards or clarifying that at all. It seems like they could do a very narrow decision here that would have broader support that simply said, "It's clear that the FDA rejected the manufacturer's warning, and in that case, preemption clearly applies." Wesley Hodges: Wonderful. Well, thank you very much, Doug, for that insight. It looks like we do have one question from the audience, so let's go ahead and turn to that caller. Rob Randall: Hi, this is Rob Randall from Randall Law Firm. Thank you for your presentation. I have a question regarding the analogy to the Markman process. Was that based upon the FDA agency determination or merely the interpretation of stress fractures similar to interpreting claim terms in a patent? Douglas G. Smith: Well, to me it doesn't have much to do with interpreting claim terms in a patent. I mean, basically what they're doing is they're looking at proposed labeling that Merck sent to the FDA, and it mentions stress fracture in the proposed labeling. But I think Justice Alito and the other Justices, they're right. You look at -- the inquiry is what would the FDA have done? Would they reject your labeling? And there, you're considering the entire record. So in addition to the proposed labeling, there was other material in there where the manufacturer said, when we're using stress fractures, we're including both partial and complete fractures, and the complete fractures are the ones that they are trying to say are these atypical fractures. And so to me, it's not very similar. I don't find the claim construction to be very analogous. To me, this is much more fact based. They're looking at all kinds -- in preemption cases, they typically look at any kind of discussion with the FDA in the record, any kind of public statement, any kind of emails, or anything like that can all be considered in trying to figure out what the FDA would've done. And it's not something where it's something you're trying to figure out terms of art or something like that. I'm not so sure how much a term of art stress fracture was, and I don't know that it's particularly relevant. I think what Justice Alito and Roberts were saying was what's relevant is what the FDA understood, and they came into court and said they understood that stress fractures included these atypical fractures. Rob Randall: Yeah, and I guess if the analogy is going to work, certainly claim construction is a legal question, but we know that it's also mixed with facts. And I guess, maybe, it's a person of ordinary skill and the claim term to me in a patent is being analogized to what the FDA understood stress fracture to mean. I'm just trying to understand the analogy. Douglas G. Smith: Yeah, that's what they say. Basically, they're just saying that it's a mixed question of law and fact, essentially, that there're factual determinations that go into it, but it's kind of a predominantly legal question. So I think Justice Breyer mentioned Markman . . . I think there was something else, like I think he might have mentioned cases where confessions were coerced, whether it was coerced or not, is something that judges typically decide and that may involve facts. So the only analogy I think he was trying to draw and the plaintiffs were trying to draw is just because there are factual issues doesn't mean that it's not something that judges should solely be deciding because there are issues like that where there are facts inherently involved but they're always decided by judges and not sent to juries. Rob Randall: All right. Thank you. I appreciate it. Wesley Hodges: Thank you so much for your question, caller. Seeing no additional questions, Doug, I turn the mic back to you. Do you have any closing thoughts before we end the discussion today? Douglas G. Smith: I think this may be a little bit of a lost opportunity to clarify preemption law. I think that the language that was in Wyeth v. Levine about clear evidence has led a lot of courts to, just kind of in a knee-jerk fashion, based on the standards, reject preemption arguments. And I don't think that that was the Court's intention, and I think that that language has been used as an excuse just to reject preemption arguments. So we'll see what the opinion says, but it would've been nice if the Supreme Court used this as an opportunity to clarify that language and to make clear that even though there is a general presumption against preemption, the Court has not -- and it was kind of clear from the oral arguments today, they were just looking at it as a factual determination that you make, and you weigh the record, and you see what the facts are and you come to a decision. When they were talking about it during oral argument, they weren't saying anything like, "Oh, the burden is super high on defendants to demonstrate preemption." So I guess I hope there's some language in the decision, clarifying the legal standard. Otherwise, to me it's kind of a question why this case was even taken up by the Supreme Court because the argument today was so much based on this factual issues about whether stress fractures include atypical fractures. So I guess that's my thought, my takeaway from the argument. Wesley Hodges: Excellent. Thank you so much, Doug. We do hope for the best. Well, on behalf of The Federalist Society, I'd like to thank you for the benefit of your valuable time and expertise today. We welcome all listener feedback by email at info@fedsoc.org. Thank you all for joining. The call is now adjourned.